Move Loop Region while playing. Bug or missing feature? When moving the Loop Region forward while song is playing the playing position starts right on the new loop position when old end position is reached. When moving the Loop Region backwards of the song position then the Loop Region gets ignored and the song plays normally forward. Hope it is clear what i mean. How can I get a sample to play to it's end after releasing midi trigger? 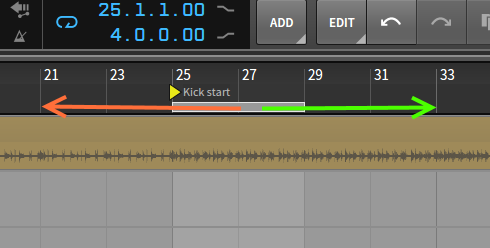 How Do I Keep Playback Starting In The Same Position? Playing Back CC to param automation?